What's My Lakes Region Home Worth? 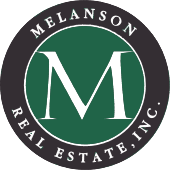 | Melanson Real Estate, Inc.
What's My Lakes Region Home Worth? Have you been thinking about putting your current home on the market but aren't quite sure where to begin? A great way to start is determining your home's value. Click on the link below and the experts at Melanson Real Estate will be happy to provide a free, no-obligation, personalized current market analysis. We provide the care and personal service you deserve from your first listing appointment to closing day!